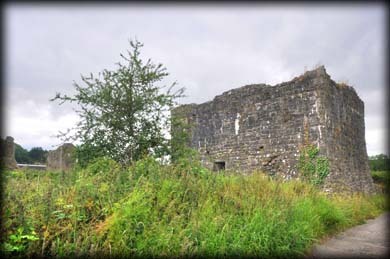 The stump of a tower to the north of Ballybeg Priory is known as Ballybeg Castle. 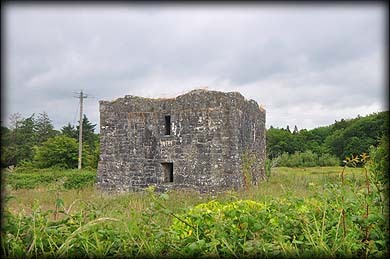 It has not been classified as a Tower House but this single storey ruin certainly resembles one. There is no access to the structure at present but the interior can be viewed through a iron gate in the west wall. It has a vaulted attic above the basement. At the northern end of the east wall is a garderobe chute. 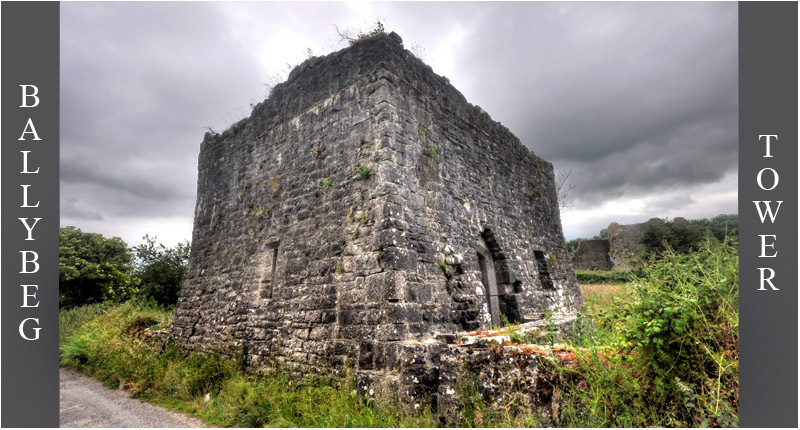 A fortified tower exists to the west of the priory and this tower may have been part of a northern fortification. Pictured above are a slit window, the interior and the arched entrance. Situated: From Charleville in Cork, head south on the N20 through Buttevant. About 2 kilometres after Buttevant Ballybeg Abbey is on your left (Signposted). The tower is on the opposite side of the road from the abbey. Discovery Map 73: R 5421 0780. Last visit June 2015.